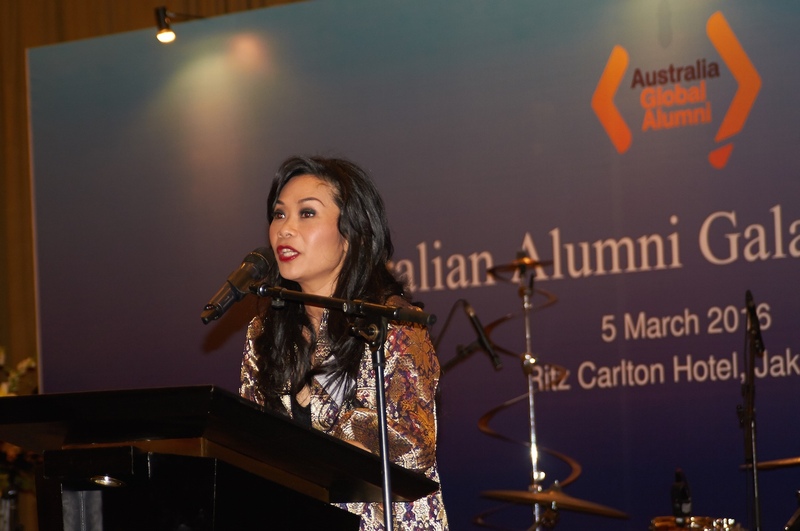 Following the success of our previous courses, Australia Awards in Indonesia invites tourism professionals from 12 provinces including South Sulawesi, North Sulawesi, West Sulawesi, Southeast Sulawesi, Central Sulawesi, Gorontalo, Maluku, North Maluku, West Nusa Tenggara, East Nusa Tenggara, Papua, and West Papua to join the 2019 Sustainable Tourism Development short course. Tourism professionals from outside the targeted provinces with strong interest and relevance to this program are also welcome to apply. 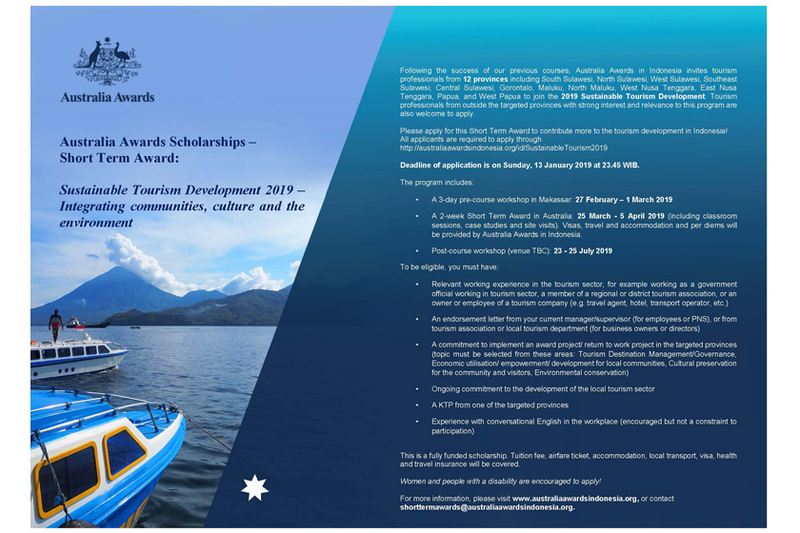 Please apply for this Short Term Award to contribute more to the tourism development in Indonesia!